Iggy stood in front of Collins Hall, eyes traveling up, up, up to take in the façade. It was two stories tall, with a strong shingled roof of black slate and windows with glass within. The first story was stone. "Step in, Ignatius," Sir Robert said. Iggy did so, finding himself in a spacious entry way. It was wood-paneled and as his eyes drifted downwards, he saw five people dressed in simple clothes, standing in a line. "This is my nephew, Ignatius," Sir Robert said. "Ignatius, these are our servants. Cook, chamberlain, maids, secretary." The servants curtsied or bowed. "You all may return to your duties." "Come see your aunt Lady Collins,"Sir Robert said. He drew Ignatius through the entry hall into a parlor. A woman rose off a chair, while a girl beside her followed suit. The woman was his Aunt Mary. He'd seen her in the church, usually garbed in simple gowns with lace or frills as trim, and a serious, solemn expression on her face as she handled her polished rosary beads. Iggy bowed to her, neatly from the waist. Lady Collins was his mother's first cousin and there was a family resemblance of brown hair and blue eyes. As austere as Sister Benedicta was, Mary Collins simply looked exhausted. "My daughter—your cousin—Margaret," Sir Robert said. The girl curtsied. Iggy bowed again, though not as deeply as he did for Mary Collins. Margaret was rather pretty, if one liked haughty-looking girls. Her mouth was turned downward in a sulk and her eyes probed into Iggy's face, as if assessing and finding something lacking. She wore a brown dress that matched the small peek of brown hair visible at the top of her cap. "This is Ignatius," Sir Robert introduced in turn. "He'll be living with us and learning the ins and outs of our estate." He clapped a hand on Iggy's shoulder. Margaret gave a pout. "Come, Ignatius. I shall give you a tour." He lead Ignatius into the center gallery once again. "This isn’t the priory. You'll need to learn your way around." "Through there is the main dining chamber," Robert said, waving an arm to his left. "The kitchen here is a separate building and built behind the dining chamber. My study is there. We've a wine cellar downstairs." Walking up solid wooden stairs to the second floor, Robert said, "The servants sleep in the attic rooms. Margaret's chamber is on that side. The master suite is here. And your room is here, in the east wing." Robert entered a blue bedchamber, the walls wood-paneled. There were two glass windows and two tapestries, both large, and predominantly blue in color. A table and chairs stood by the fireplace. "There's a small dressing room through there, with a wardrobe," Robert said, gesturing toward a door hidden in the panelling. "Is this the blue bedchamber you said I was born in?" Iggy asked. Robert seemed surprised. "Oh, you remembered! It was another chamber, actually, in the west wing. The west wing is the elder." "This…isn't the house my mother and your brothers and sisters were born in?" "Not exactly. I've built on. That house was really too small for so many of us. The old house is a few acres away." Losing interest, Robert said, "I'll have your possessions brought in. Come. There's more to see." Iggy followed his uncle to the upstairs gallery, which separated the wings. Though to call them "wings" was not correct. "Wings" seemed a bit grandiose to describe the architecture. The walls of the upstairs gallery were covered in equidistant portraits, some more second dimensional than others. "I had these commissioned," Sir Robert said. "These are your grandparents." "Drawn from life?" Iggy asked. "Father was. It's quite accurate." Iggy saw two frowning people, the man with a craggy face and gray hair. The woman beside him had a round face, pointed chin, and brown eyes. He searched for a resemblance—to his mother, to himself. Robert moved down the gallery. "These are my brothers and sisters. Your uncles and aunts." These portraits were miniatures, flat with no dimesion. Iggy had seen one-dimensional pictures in the illuminated manuscripts Clement once showed him, but those had been full of vigor and color. These were darkly-colored with frowning, sour-looking people. Either the subjects had been uninspiring or the artist was untalented. Iggy picked out Robert in the bunch and a very young version of Sister Benedicta, but he'd not seen the other Collins siblings and knew them not by name nor sight. "Is that…my mother's sister, the silversmith's wife?" Iggy asked. Robert laughed. "Indeed! So we all thought after so many were born!" Robert showed Iggy the rest of the small estate. The kitchen, the smokehouse, the dairy, and the stableyard were all in a small semi-circle on the right back of the manor house. With only a peek of the horses inside the stable, Iggy knew that Tom would be right impressed with the horseflesh. Futher afield lay small plots of tenant farmers' land, the laborers supplied by the sons of Scour or the elder priory lads who were now out in the world. His first week at Collins Hall was largely filled with learning the ins and outs of a household. When Iggy rolled over in the still-dark early mornings, his ears focused on finding the sound of the monks singing or the bells tolling for Lauds or Prime, he had to remember that he was no longer in the boys' gallery. The snuffles and snores of sleep did not sound up and down the hall in his hearing. Instead, Iggy had to recall the sound of the singing: tenors and baritone voices in utter, perfect harmony—singular in its purpose: to celebrate God. The Latin, though he spoke and understand it quite well, was still mysterious, the music soaring. 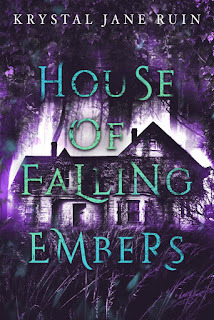 At Collins Hall, the only sound to greet the dawn was the sound of the servants carefully padding about the yard and the house, stoking dead embers into warm fires. Iggy had long imagined what a family would be like. Now, living with his own relatives, it was unlike anything his fantasies had conjured. The family did not worship by the canonical hours Iggy was familiar with. Rising at dawn, when the distant bells of St. Osana's rang out across Scour to signal Prime, the start of another day, a servant would slip into his bedchamber to build the fire. Iggy would rise, wash his face, then dress. By the end of the week, Iggy's skin had stopped fussing against the finer grains of cloth that his new clothes were made of. Even in the January cold, Robert insisted on an invigorating morning ride, to greet the day, and Iggy accompanied him, thinking that it was bloody preferable to be falling asleep in mass then being bundled up in furs to bear the Yorkshire chill. Upon their return, Aunt and Margaret had risen, dressed, and breakfast was set. They prayed—an abbreviated version of Mass, with a psalm reading, that Iggy was not sure he could grow used to. It felt too short to be called Prime for him, used to psalm reading after prayer after blessing in Latin, all before breakfast had been laid out. Aunt had her business, which Iggy was not wholly certain of. At the priory, the children dispersed to chores or were watched by the elder girls or the nuns, then lessons. But at Collins Hall, Aunt went about her business, with Margaret in tow. Sir Robert had his business, pertaining to the estate or his other parcels of land, his tenants, his upcoming planting season, his business interests in the seaside port of Hull, all of which seemed to involved his secretary and correspondence. While attending to this mound of work, Robert would have Iggy sit in his study and, without speaking, copy Latin or Greek or read a portion of the Bible. Then Iggy would be dismissed for outdoor exercise, then Aunt would ask him in. He sat quietly in her presence once again, while she and Margaret sewed and embroidered. On some days, Aunt wished Iggy to sing for them and he would, for he rather enjoyed singing, his voice still a finely-tuned instrument capable of hitting girlishly high notes. But the only songs he knew were hymns, in Latin. Then they would take the midday meal; sometimes, Aunt and Margaret would attend mass at St. Osana's and Iggy would manfully accompany them. The first time he did so, he noticed that Isabel Routh wore the little manuscript book he wrote out for her during lessons as if it were a prayer book. After mass, he returned to his books and Robert's scattered instructions about running the manor until nightfall. Iggy was used to routine—the priory was highly efficient and organized, with everyone from the prior to the youngest orphan on a schedule. "Idle hands are the devil's playground" was an oft-repeated phrase. Free time was a double-edged luxury, for while he was growing used to his new position and his new setting, the time seemed to both pass slowly and quickly. 'Twas during his second week living at Collins Hall that Iggy was allowed to resume his lessons with Brother Clement within the priory walls. He found the experience of arriving at the library building unsettling. The path was familiar, even treading the mud and snow, but he felt disconnected. "Ignatius," Brother Clement said, turning away from a large manuscript laying on a slanted table. "How are you, lad?" "Well, Brother," Iggy replied. Lips pursed, Clement studied Iggy's face, then nodded, leading the boy toward one of niches. The library was empty. Even so, Iggy could not hear his father's footsteps. Stopping at a shelf, Clement perused the contents for a moment before taking a large, leather-bound volume off and sitting at a table, gesturing Iggy to the chair beside him. "To start," Clement said. "This is a copy of the annals we keep here—have kept here since the priory's founding. They're bound. Most of them are in safer storage, but this is more recent. Anno domini 1500." "Aye. It begins in May of 1499, actually. Read from here," Clement said, turning the pages, then stopping. His finger pointed to a line under an elaborately, secretariat Gothic "1499." It was in Latin. "Here be the recordings of the East Riding of Yorkshire, anno domini 1499 to 1500. Written in the rolls by the monks of the library of the Most Cistercian priory of St. Osana, Scour, Yorks." Iggy glanced up. "They write 'Scouris' for Scour, not tergeo…"
Clement seemed amused. "No, indeed. What else does the page say?" "'Tis a liturgical calendar. The reign of Henry, by the Grace of god, the Seventh of England, France and Lord of Ireland." "Good. Now…" Wetting a finger, Clement turned the pages once again. "Read this line here." "Arrived upon the doorstep of St. Osana's Church on a bluff spring morning, a lusty male child, barely six months of age or so. The sisters say he feeds well. Parents unknown. Recorded May Day, 1500." "Who was the baby, then?" Iggy asked his father. "Has Tom got surprise family as well?" "Not that anyone in Scour's ever come forward," Clement replied. "Tom is surnamed 'Winters' because he was likely born during the winter. He is, of course, as you know, not an unusual case in these parts. Itinerant laborers can't care for their children. Or young women aren't married and can't care for their unborn babies." He skimmed the close-written words. "Now, read here." "Midsummer's Day, 1500. A sister of our priory has taken a medical leave and left to dwell in the village under the care of her brother." Iggy looked up. "Sister Benedicta." "Is my birth recorded in these annals?" To answer Iggy's question, Clement turned the pages again. He let Iggy find the line himself, for it was toward the top of the page of doings for that particular week. In between the news of another colt born in the priory stables and the amount of mutton sent from priory lands to priory tables, was a simply written line, the handwriting still Gothic in style, but more slanted to the left than the other lines. "September. A child born to in the village to a novice of this priory. Now the child lives in the orphanage." Iggy said, "C'est moi." "Who keeps the annal rolls?" "All of us monks do. We take turns or dole out particular events to record," Clement replied. "Right now, 'tis my job." "You must know a great deal about the doings of the village then." "And of the region. 'Tis the annals of the East Riding, after all. That includes Humberside and Beverley." "I'm not sure anyone is truly sure. The older rolls were begun before the Conquest, a wealth of information. They record information about the Godwinsons and the Vikings. As the rolls go on, they go on about the Conqueror and the Harrowing of the North, including this part of Yorkshire. So, you see, history comes alive in these and other annals. A monk took the time to write it down, even behind priory or abbey walls. And there's a wealth of Latin verbs that you do not know yet." Clement took the volume away. "We shall study this another time. Let us conjugate. What are the appropriate verb forms for the Latin 'to wash'?" Lessons were over for the day, but Iggy lingered in the library a little longer, unwilling to leave his father and his esoteric lessons until Clement had to absolutely go and teach another boy, though the boy was younger than Iggy. Iggy imagined that Brother Clement spent more and a more careful time teaching Iggy. He exited the library and walked the well-worn paths toward the orphanage, waving hello to the lads and the girls he knew and saw. He asked one of the girls, "Have you seen Tom Winters and Isabel Routh?" "Aye," the girl chirped. "Behind the orphanage, like." "Thank you!" Iggy called and ran across the yard, heedless of mud, ducking and weaving between monks and other children toward the orphanage building. He saw Tom standing behind the building, wearing his brown hat from Isabel. "Oi, Tom!" Tom glanced over his shoulder, then turned more fully and waved, laughing. "Iggy! How are you, mate?" Iggy stopped. Isabel's face popped out from behind Tom, her hands closed around Iggy the pet rat. Her eyes lit up. "I sincerely hope," Iggy quipped. "That you mean how am I doing and not your rat." "Quite," Tom replied. "Lessons, then?" "Aye. And I'm allowed to share in your midday meal, but then I must return to the Hall in haste." "Your lessons are in the morning now?" "Aye. I accompany Aunt and Cousin Margaret to Church for Terce, then lessons until the bells for Sext ring. Brother Clement ended them rather early today as it's my first day back at regular lessons." "Will you have them everyday?" Isabel asked. "Except for obligation days and Sundays, of course, yes. How is my namesake?" Igg asked, stepping around Tom to coo to the little soft rat in Isabel's hands. "Not afraid, Is?" "No," she repllied, jutting her chin out. "He's a gentle creature. Though Sister Agnes did scream something awful when she found him in his little box the other day." Tom laughed. "That's why we're back here, see. Sister Agnes says we're only allowed to take him out of his box and play with him outside of the orphanage. Otherwise, he must stay in my box under my bed." "Little Iggy is an affectionate thing," Isabel said, clicking her tongue in an almost maternal way. "Ain't you, rat?" "How is Collins Hall?" Tom asked in his quiet way. "It doesn't feel like it fits yet. If you received a shirt or a tunic and it was too tight at the cuffs or something of that sort." "It's not comfortable yet," Tom extrapolated. "But otherwise?" "They've servants. I feel rather idle and you know how the nuns are on being idle. Sir Uncle runs his estates and his various businesses all day and I've been sitting in on his meetings and work hours. It's rather complicated." "And you're heir to that," Isabel said. He hadn't felt the cold until she said that. An heir. He was somebody's heir. He would have to learn all of that Sir Robert handled. "How is your lady aunt? And your cousin?" Isabel asked. "Aunt Mary is rather drawn and quiet," Iggy commented. "She likes it when I sing. Says I have an angel's voice. Cousin Margaret thinks herself a right princess." They heard a small bell, not the one from the church, ring out. "Midday meal is served," Tom said. "Give me Iggy, Is." Iggy blinked for a moment, then realized he was talking about the rat. Isabel handed the animal back to Tom, who deposited the rat in a pocket in his tunic. The nun supervising the childrens' meal today was Sister Benedicta. She greeted her son with a warm smile. "Son," she said in an undertone. "How art thou?" "Well," Iggy said. He felt tingles inside that she would call him "son." "We'll talk after the meal. Go to," she said, urging him and Tom to the boys' trestle and Isabel to the girls'. Iggy spent half the meal chewing and the other half listening to the other lads, hearing about their antics, hearing about their lessons and apprenticeships and the visitors last week who were on their way to the Minster in Beverley. The lads swore up and down that the man was a highwayman, that his wife could not have been his actual wife. Beverley was northwest of Scour. A cathedral town known for its magnificant Minster, dedicated to its founding saint, St. John, it was a popular destination for those on pilgrimage in the north. Beverley was the largest town in the area. Brother Clement said that in the Middle Ages, it had served as a point of sanctuary—the entire town had. Once within the pillars of Beverley, a person would find sanctuary. Iggy brought that up into the conversation. The lads speculated on whether or not one could still find sanctuary in Beverley and if the highwayman and his wife who was not were in need of it. Iggy asked what made them think the man was a criminal. He was well-dressed, the lads reported, but he did not look at the Host when it was raised at Mass. He had a mustache that made him look dastardly—Tom said the man had black hair, which made him look rather highwayman-like—and his "wife" wore her hair loose down her back. The man walked about holding her by the crook of the elbow, in a grip.